When I lived in Arkansas, everyone always used to ask if I missed living in a city. Didn’t I miss going to shows and out to bars? As somewhat of a homebody, I was actually right at home living in a small town where most of the social scene takes place on front porches and at dinner parties. I didn’t care that much about not being able to see movies on a Monday night or not having an endless selection of happy hours to sample. Asian food however was one of the few experiences I never stopped longing for throughout my four years in the Delta. I’m half Vietnamese and have a Japanese step-mother, so I grew up eating sushi and spring rolls at American holidays like Thanksgiving dinner. Now that I’m back in Seattle, I’ve been working to satisfy four years worth of cravings, which equates to a whole lot of Thai takeout and trips to Chinatown. It’s been fun exploring new restaurants that have popped up since I’ve been gone, especially in our Phinney Ridge/Greenwood neighborhood. However, when it comes sushi, nothing I’ve tried has come close to competing with my longtime college favorite: Musashi’s. 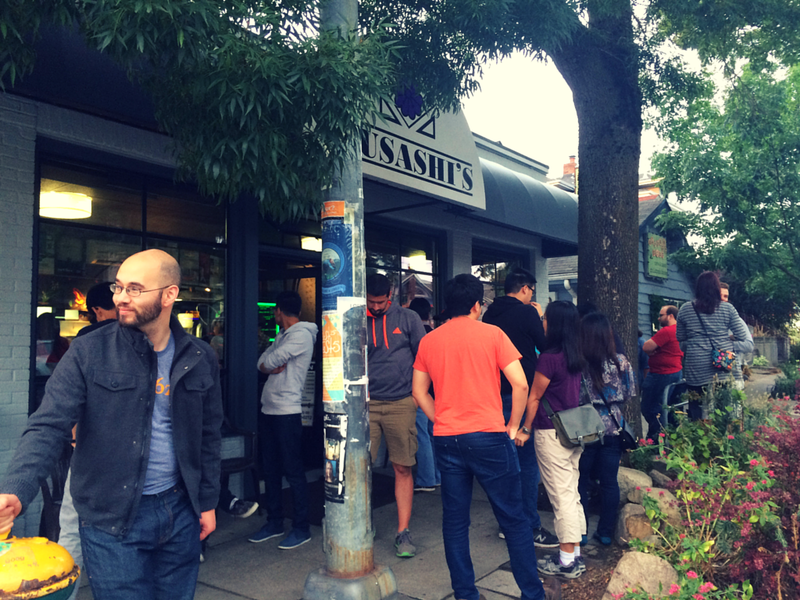 Musashi’s is a little hole in the wall sushi restaurant in Seattle’s Wallingford District. Both the interior and exterior are pretty basic. so leave your high heels at home. The food is done simply as well, which lets the quality of the food shine through. None of that deep-fried “sushi” stuff they pad the menu with in the South. Expect a basic menu of nigri, classic rolls, teriyaki skewers, and a few other items. Know before you go: there is always a wait. The restaurant probably sits 30 people total and that might be stretching it. Build in about 30 minutes into your dinner plans or alternatively order takeout. They’re pretty quick with takeout orders and it’s nice in the summer to eat al fresco at Gasworks Park. 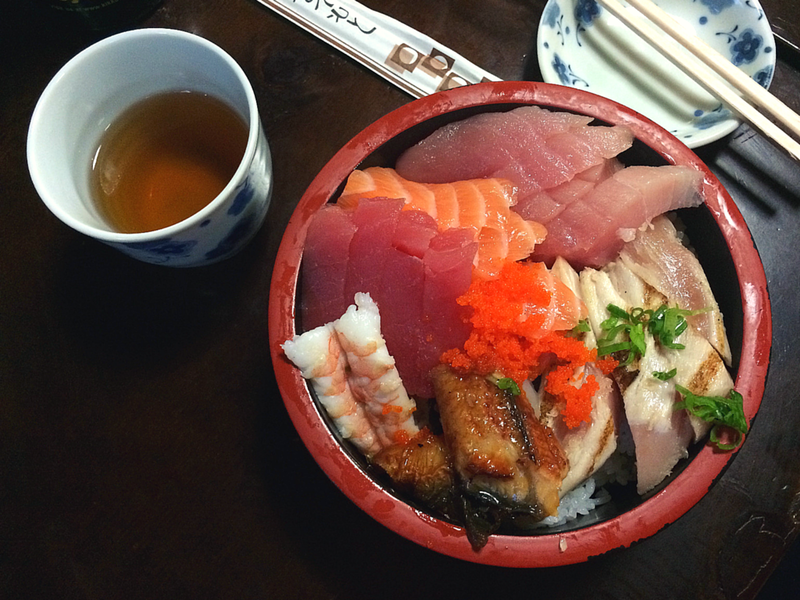 The Chirashi bowl is my favorite item on the menu, and is their most popular order. It’s sashimi on a bed of sushi rice and is a great value. This picture doesn’t do the cuts of fish justice. The fish here is cut twice as thick as what a standard restaurant would serve, and is so fresh. I kept on waving my pieces around for the table to admire. Nick and I met my brother for dinner a few weekends ago. 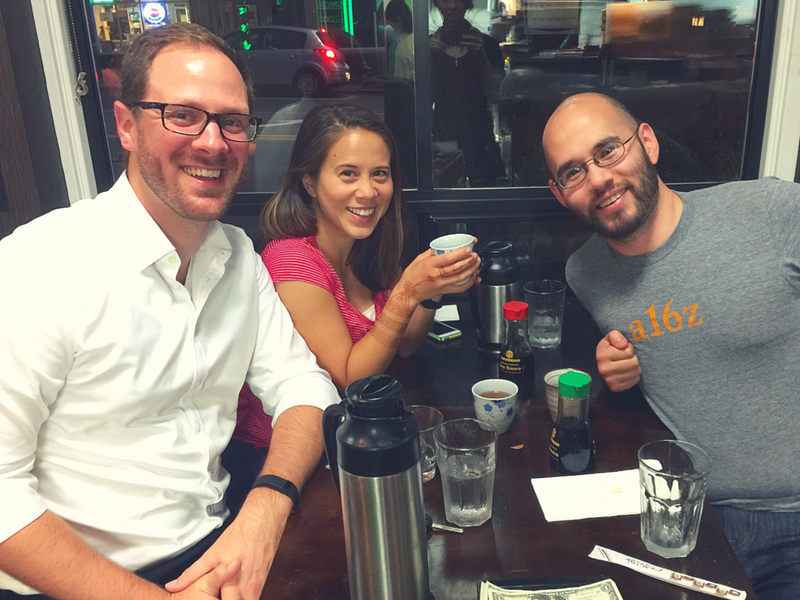 Here we are sipping on some Oolong tea post-meal. Bottomless hot tea is definitely a pro for dining in. Don’t you just love drinking out of those little cups? 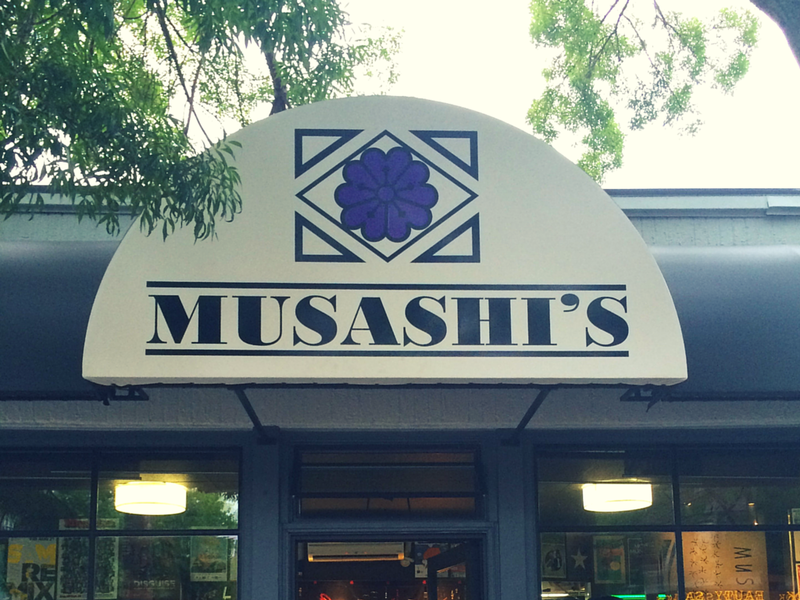 If you like sushi and you’re in the Seattle area, make a point to seek out Musashi’s. You may have to wait 15-30 minutes for a seat, but once you’ve had your first bite, you’ll forget about everything else. 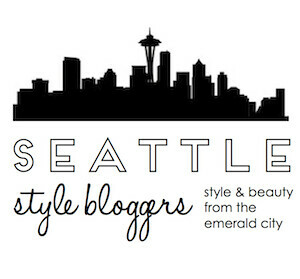 Do you like sushi or does the raw aspect make you nervous? What’s your favorite type of Asian food? Mil doesn’t like sushi but she does like Thai.